Dive down to the Trias! The Museum is presenting finds, which were discovered in Trossingen from 1909 to today. Starting in 2007 a team of the State Museum of Natural History in Stuttgart led by Dr. Rainer Schoch is excavating the world wide known "Trossinger Rutschete". The excavations not only bore the Trossingen Plateosaurus, but also a lot of other real gems from the Trias. 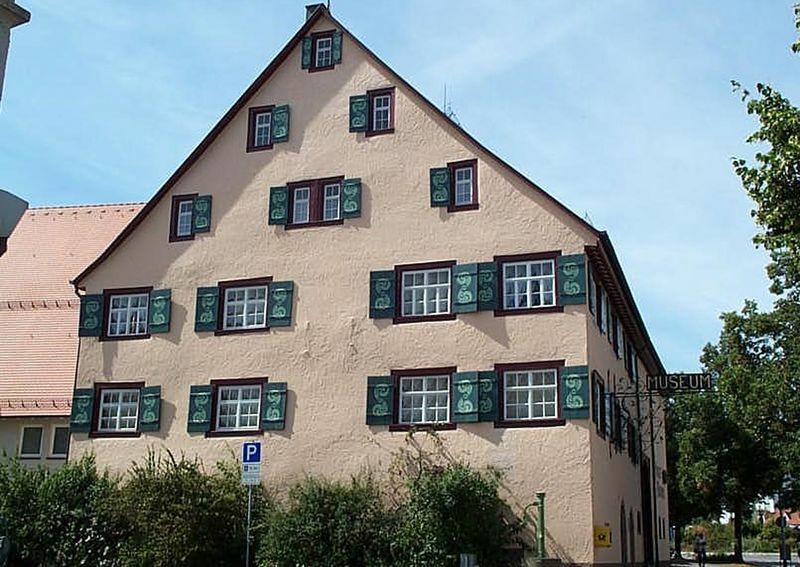 Further, the Museum informs about the recent history of the town Trossingen. The collections, which have been generated since the 1950ies range from Neolithic finds to historic books, furniture, handicraft and costumes. Most interesting for small Geopark visitors is the dinosaur exhibition – dive down to the Trias!